The global thaumatin market is envisaged to have an upswing in growth in the near future. Use of thaumatin in non-dairy and dairy products has fueled due to its sweet nature as some types of the protein are believed to be multiple times sweeter than processed sugar. In the confectionary industry, thaumatin finds its application in the production of hard candies, gummies, and chocolates flavor and enhancement of flavors such as mint, citrus, and berry. The rise in growth of the confectionary and dairy products industries because of the introduction of new tastes and launch of new products is expected to fuel the market. Thaumatin aids in reducing bitterness or sourness of soya-based products and low-fat yoghurts. Companies use recombinant DNA technology to produce thaumatin as the process of extraction from fruits is expensive. An important driving factor of the global thaumatin market could be the surge in uptake of non-dairy and dairy products. Increase in health awareness among consumers all over the world is anticipated to promote the growth of the market. Other factors such as changing lifestyle, increase in urbanization, per capita income, and improving emerging economies could push the market on the positive side of growth. High investment in the food and beverages industry and acquisition and merger between international players are predicted to help the market to thrive. Merging with local players could help global players to hold a high market share. The global thaumatin market can be segregated on the basis of application, end-use industry, and region. Thaumatin finds use in cosmetics, pharmaceutical, and food and beverages industries. 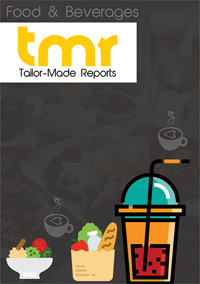 Food and beverages is expected to hold a higher share of the market during the forecast period. Thaumatin finds application as a flavoring agent and sweetener. As a flavoring agent, it could secure a higher demand in the market due to its use in confectionary products. Naturex, a key player in the global thaumatin market, is all set to launch a new plant-based substitute to EDTA at their IFT18 Expo. The company has named the product as XtraBlend RN, and boasts it to be organic. This product falls under Naturex’s Clean and Clear label theme. Naturex has also shown their focus on fire-roasted vegetables and fruits puree. On the basis of geography, the global thaumatin market is spread across North America, Latin America, Middle East and Africa, North America, APEJ, Eastern Europe, and Western Europe. Amongst the pack, North America is expected to prevail in the market with its considerably high growth rate. The reason behind such competitiveness of North America could be the surge in demand for food and beverage products. It is estimated that the Western Europe could grow at high rate due to strong health awareness among consumers in the region. Asia Pacific is expected to gain a strong hold in terms of volume. The region is also expected to grow at a decent growth rate in the market, which could be attributed to its ever-increasing population, rise in urbanization, and changing lifestyle. The market for thaumatin could be highly fragmented due to the existence of numerous global and regional players. Regional players are observed to provide competitive pricing and quality services as their strategy to compete against global players. On the other hand, international players are seen to be involved in merger and acquisition activities in order to extend their lead.